Karen was born in Fremont, California on August 16, 1999. She first stepped on ice at age of four and started competing when she was six. She was a very shy girl and it’s always been a challenge for her to attend skating group lessons. She would just stand by the gate of rink and wouldn’t go to her group alone. Things changed at her first skating competition. She did everything during competition by herself. After that, she told her parents that she loved ice skating and wants to do more competitions. So, her skating journey began. 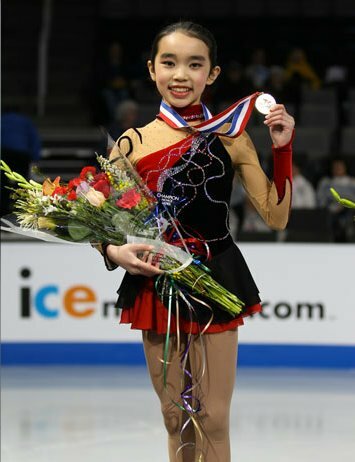 After winning Juvenile Girls of 2010 Central Pacific Regional Championships, she got to compete in her first Junior Nationals Championships and she was pewter medalist. She was very excited and so determined to do better. Next year, she won the both titles of 2011 Central Pacific Regional and 2011 Junior Nationals in Intermediate Ladies division; her score at Nationals (combined short program and free skate) was 119.92 points — the highest score at the intermediate level since the International Judging System was implemented in 2007. The opening Level 4 layback spin earned 4.20 points and received straight 3 grades of executions from the judging panel. She went on and added two more gold medals from Regional and Sectional in Novice Ladies. On January 23, 2012, she captured the Novice Ladies title at Nationals at age of 12 with the highest novice competition score, 140.17, ever since the new judging system was put into place at the U.S. Championships back in 2007. The score is 14 more points than silver medalist’s. This was her first time to compete in Nationals; she really enjoyed it and learned a lot from this competition. Moving forward, Karen is going to compete as a junior lady during 2013 season (2012 – 2013). Karen is a straight A student and math and science are her favorite subjects. Actually, she was just awarded with Dean’s Honor List last semester. She likes art a lot and has been taking art lessons since she was 8. 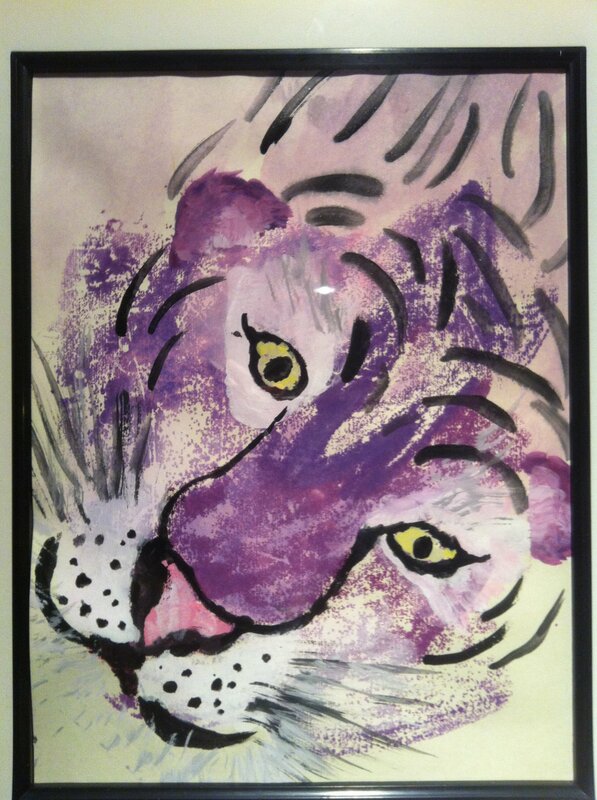 Therefore, she has lots of artwork at home and her favorite ones are all hung on walls of living and family room. She also like to play baseball, badminton and tennis with her brother, Jeffrey, when she has time. Both Karen and Jeffrey like to ride bikes and chase after each other when weather is nice. She is happy that she is able to skate and train with her brother after Jeffrey decided he wants to be a figure skater as well. She is very thankful to have so many people who support and sponsor her to keep her dreams alive even though she doesn’t know most of them. Finally, she really appreciate her team members including her family, coaches, mentors, doctors, skating friends and their families to give her this opportunity to dream big and pursue her dreams. 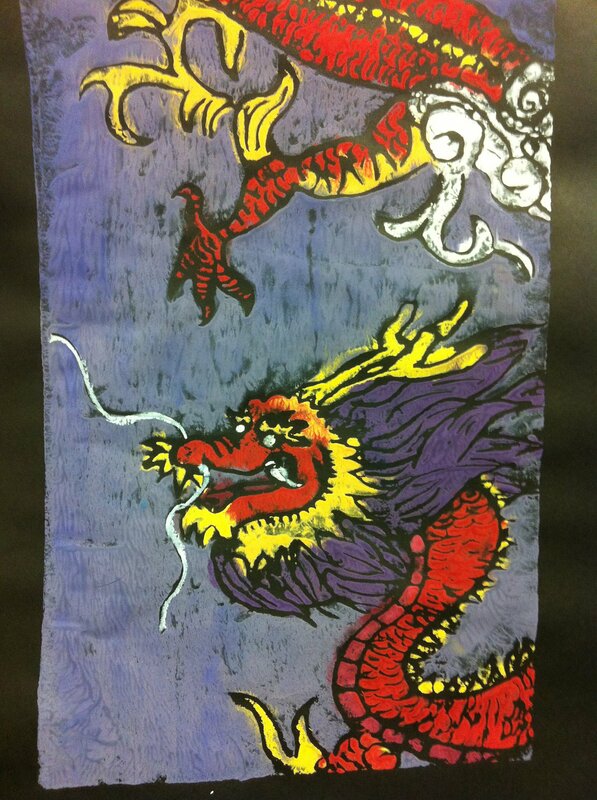 Wow your really good! I’m the same age as you and I only started figure skating… I’ll be watching you in the olympics! Hi Karen, and can I sometimes talk to you in sharks ice in fremont? I am fourteen and I just started skating. You are one of my role models. Hi Karen, greetings from Malaysia! I’m an avid fan of Michelle & Mao, and now i’ve found someone who also have the same technical brilliance, artistry and potential to become a skating legend! Looking forward to your continuous improvements. I wonder at the daily routine you have to be equally excellent in competition and studies, amazing dedication! I always have trouble thinking positive thoughts and always find myself playing it safe.Advice? How old are you? Are you a skater too? Yep I’m 12 and i am a huge fan of you! You are such an inspiration to me! My goal is regionals next year and I’m so excited do you have any tips? I want to be the first skater at my club to advance to sectionals so they give me some attention! Depending on what level you are currently in, you should probably get to know your competitors and the amount of points you need to have to make top four at regionals. I wish you the best of luck! what do you think to yourself before you skate? I was watching the U.S. Championship, and I wanted to say what a performance! I hope theres nothing that slows you down for years to come, and that you blow all competition away! Thanks so much for your kind words. 🙂 I’ll do my best as always. How many hours a day do you skate? Thank you! 🙂 I skate 3 hours a day. You’re amazing and I am so happy that you were on the podium at nationals! I hope nothing stops you! I’m 13 and you are my role model! I’m competing at novice this year, do you have any tips? Especially for competing? Thank you for your kind words and wishes! Good luck to your competitions! Tips? I guess that we just have to work harder and smarter. You are amazing and inspirational! Your former teachers at Chadbourne are very proud of you. Go Karen! Thank you so much Mrs. Simon. If you meet my former teachers, please give them a big hug and tell them thank you for me. So I skate at the same rink as you and i watch you practice every time I’m there (if I can) . I love your skating and you are my role model. I started skating when i was 9 so I’m a late starter but I’ve been skating for 2 years already and i’m really close on getting my axel.I would usually land forward on my axel so I’m half a rotation off. A few days ago , my axel coach wanted to have me cheat the jump so then I could know how to actually land the jump. Any tips on landing the axel? I can do it perfectly on the harness but just not without the harness. Anyways, best wishes for you and your future! I’ll see you on tv at the Olympics! Also, are you at the rink everyday? Not really. I just came back from Champs Camp. 🙂 Thanks for visit my web site. Thanks so much for your kind words! 🙂 Good luck on landing your axel. Karen I think your pretty awesome. I hope you stick around for many many years. OMG KAREN IM SO PROUD OF YOU I USED TO SEE YOU AT THE RINK IN FREMONT ALL THE TIME WEVE TALKED A FEW TIMES BUT YOU PROBABLY DONT REMEMBER ME LOL KEEP IT UP!!! Beautiful job tonight at stars on ice in Hershey, PA!! You inspire us to do our best and work harder. My friends and I love you!!! We were wondering how many days and how many hours a week you train? Can you teach me how to be a good figure skater?I also want to be like you.Davai Karen!! Karen your awesome, keep up the good work.